The Hövding is an invisible bike helmet. 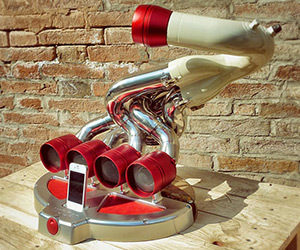 The device figures out when you’re crashing, using battery-powered accelerometers and gyroscopes. A tiny gas inflator fills an airbag with helium to provide protection. 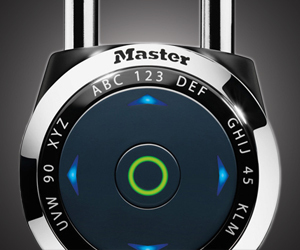 This electronic padlock comes with a master code, and has the option to add up to 3 guest codes. The 1500eDBX uses a directional code interface, which is an easy to use and secure way of keeping stuff safe. 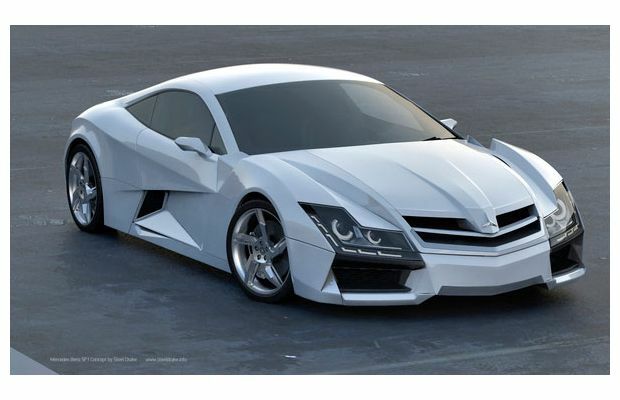 Industrial designer Steel Drake first published his Mercedes SF1 concept last October. 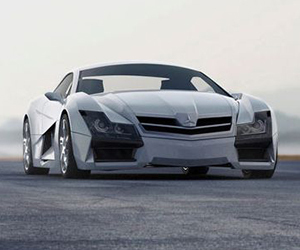 Due to the popularity of the design, Steel decided to finalize the design of this futuristic looking beast. 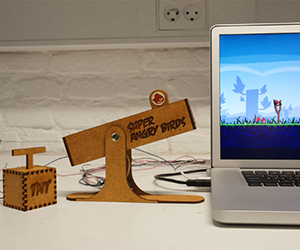 Super Angry Birds is a custom force-feedback USB controller for Angry Birds, created by students at the CIID. 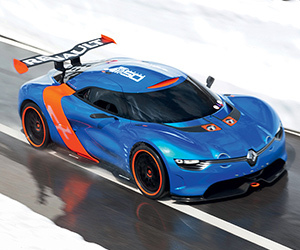 Designed to simulate the feeling of a real slingshot, using a motorized audio mixing fader. 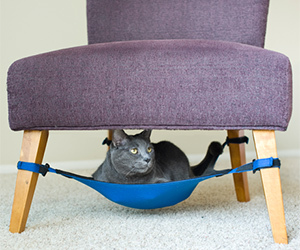 Space saving hammock for your furry friend, the Cat Crib fit’s in the unused void under chairs and small tables, creating a cool space for your cat to sleep and hangout. 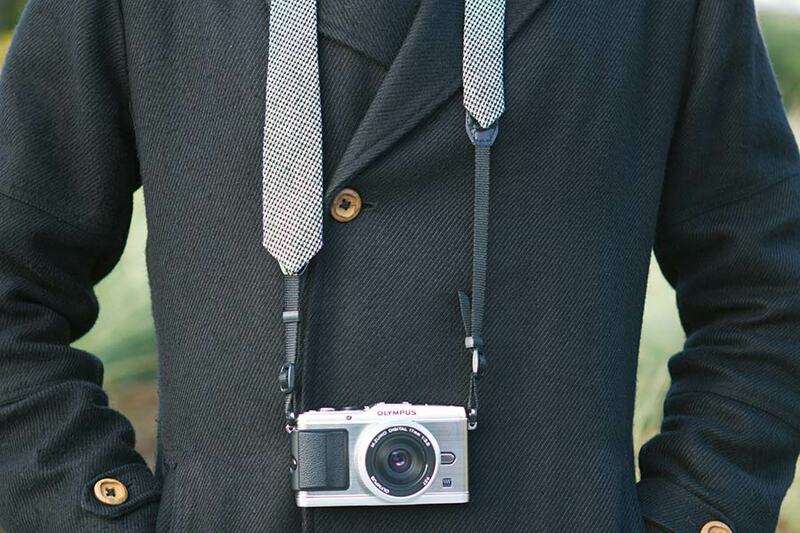 Perfect for condos & small homes. 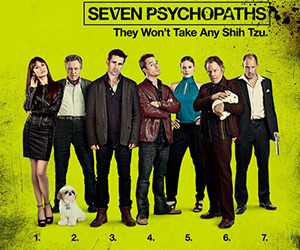 A struggling screenwriter (Colin Farrell) gets in knee deep with the LA criminal underworld, when his crazy friends (Sam Rockwell, Christopher Walken) kidnap a gangster’s (Woody Harrelson’s) beloved Shih Tzu. 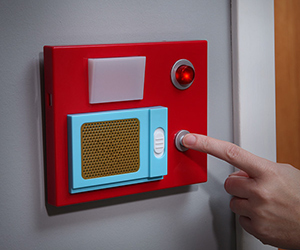 These old-school Star Trek communicator panels are motion-activated, with 2 sound options, a door opening swoosh and a Red Alert Siren, complete with flashing light. Also includes push-button comm whistle sound. 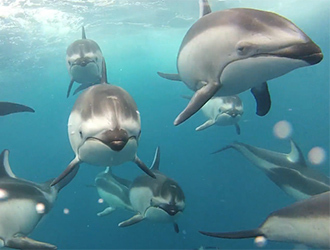 This amazing footage was shot by Mark Peters, on a Tuna fishing trip. 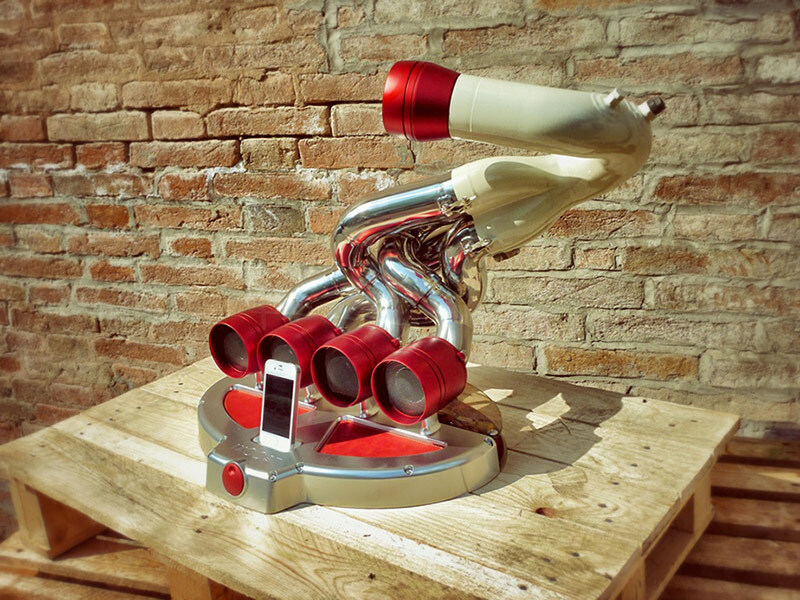 He used a GoPro Hero2 camera, with dive housing and his own Torpedo housing, which he is thinking about developing via Kickstarter. 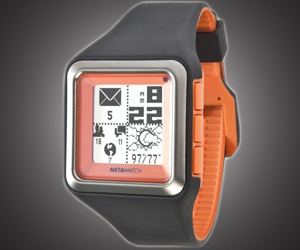 The Strata watch connects to your iPhone 4S or Android smartphone via Bluetooth 4.0. You can check calls, sms, workouts, and connect to apps like FB, Twitter, workouts, weather. Waterproof bonus. 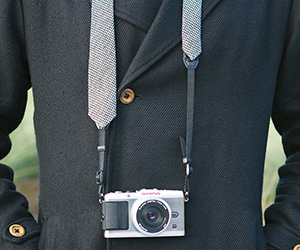 If you own a midsize or DSLR camera, a strap is usually hanging around, this Camera Strap Tie looks pretty funky, great for formal snappy occasions. Would be good to see a few more pattern and color options.